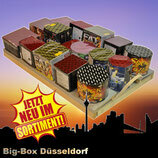 Complete fireworks are put together from many high-quality battery fireworks which can vary according to market offer. 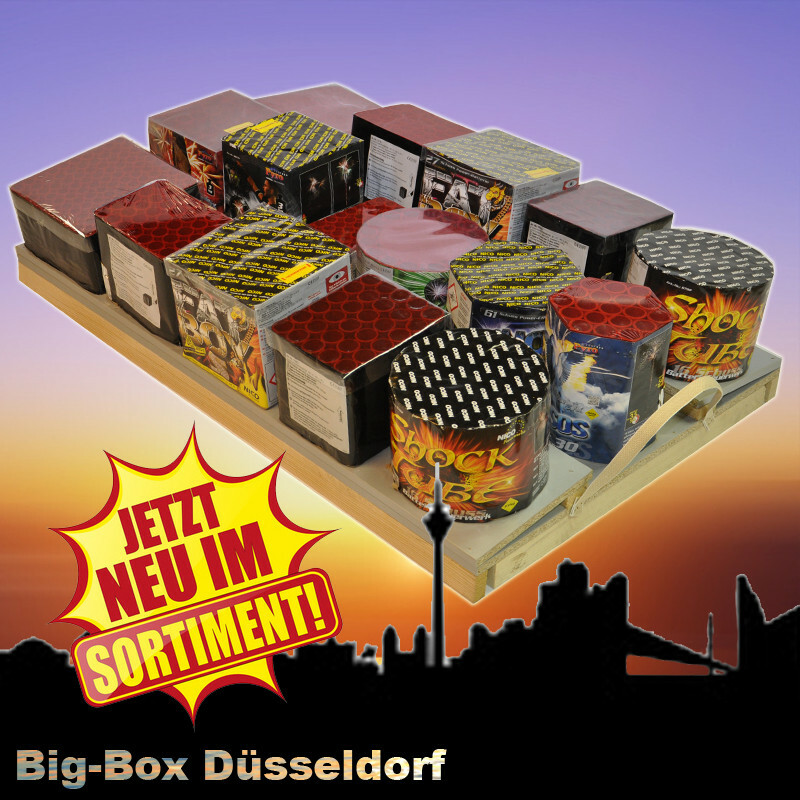 The newest generation of our complete fireworks is the Big box series, you offers an enormously high number of effects! 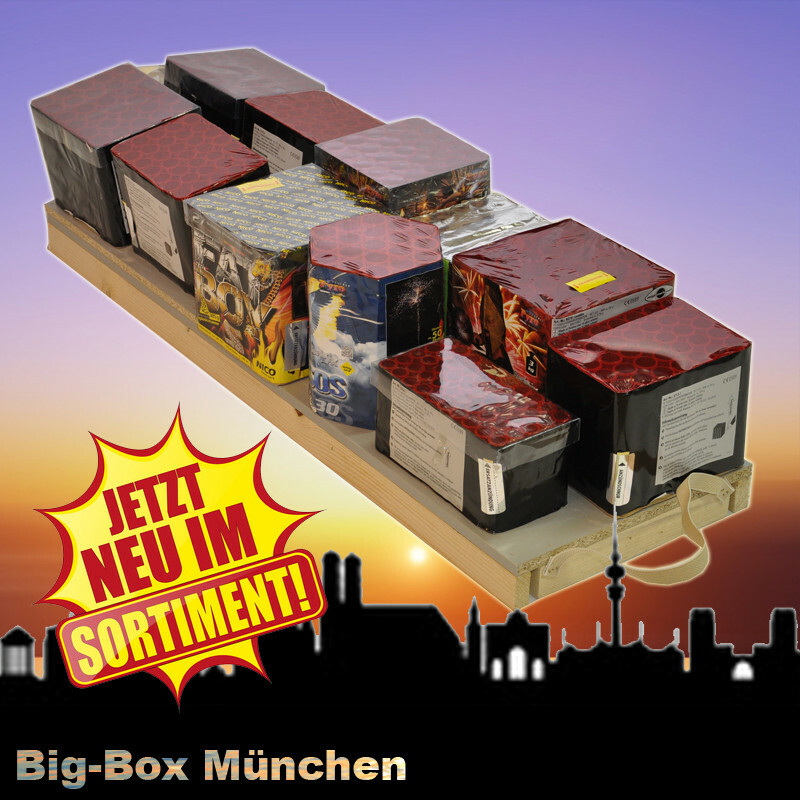 (Example: Big box Munich, 11 batteries à 500 g = 5,500g) The effect rise till a height of approx. 70 m! 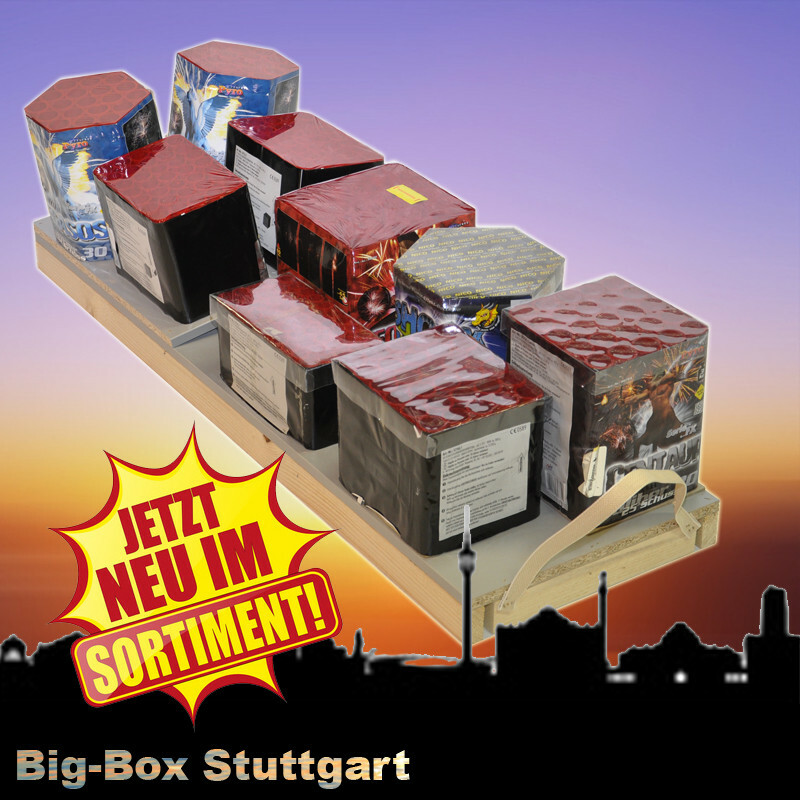 The best, select fireworks batteries, firmly on a Board (wooden board) mounted and with each other linked, so that one this only in the fuse intended for it, by means of provided ignition help, light need. 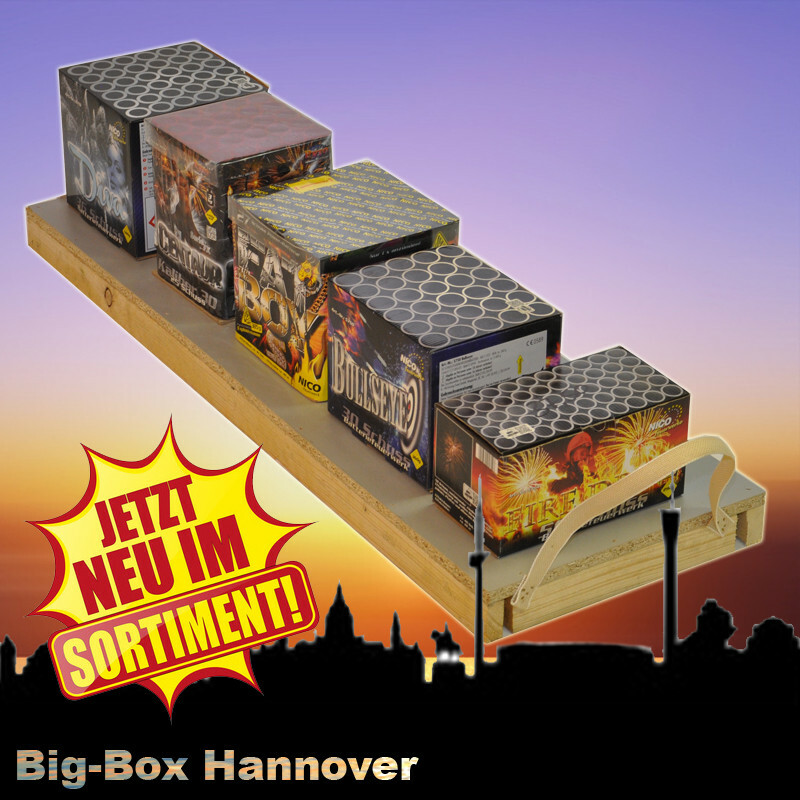 On lighting, quickly at least 20 metres from the complete fireworks remove and enjoy the pyrotechnical spectacle. Enquire please whether you need an approval of her municipality for burning down the fireworks outside from New Year's Eve. We help for you with pleasure, simply contact us by mail! - approx. 2 1/2 minutes effect time! - approx. 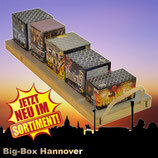 3 3/4 minutes effect time! - approx. 4 3/4 minutes effect time! - approx. 5 1/2 minutes effect time!